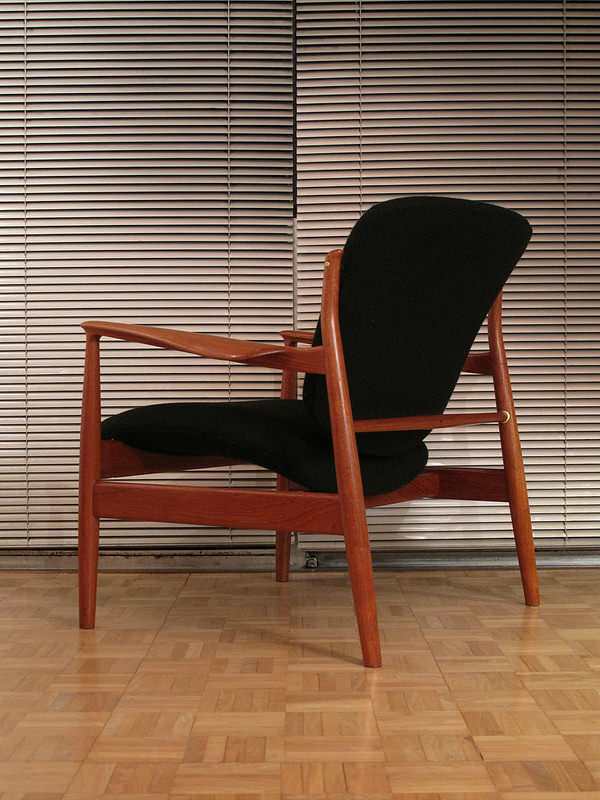 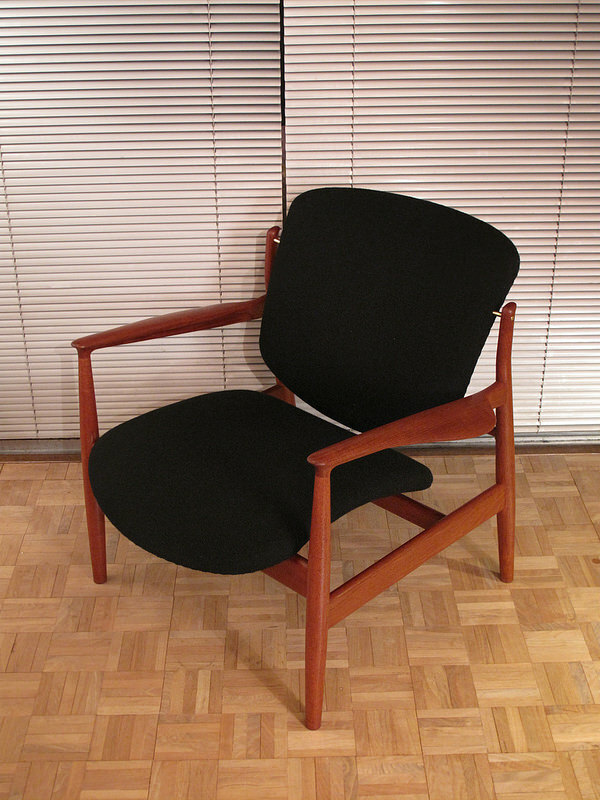 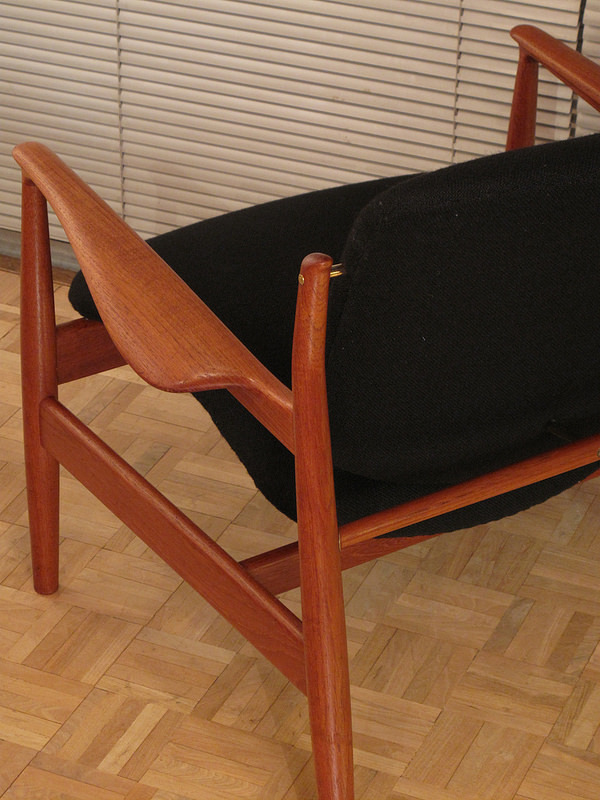 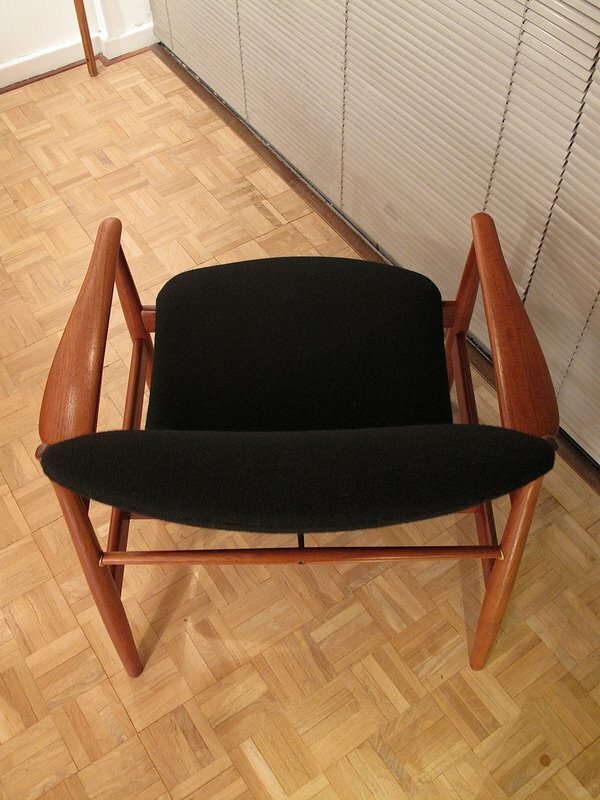 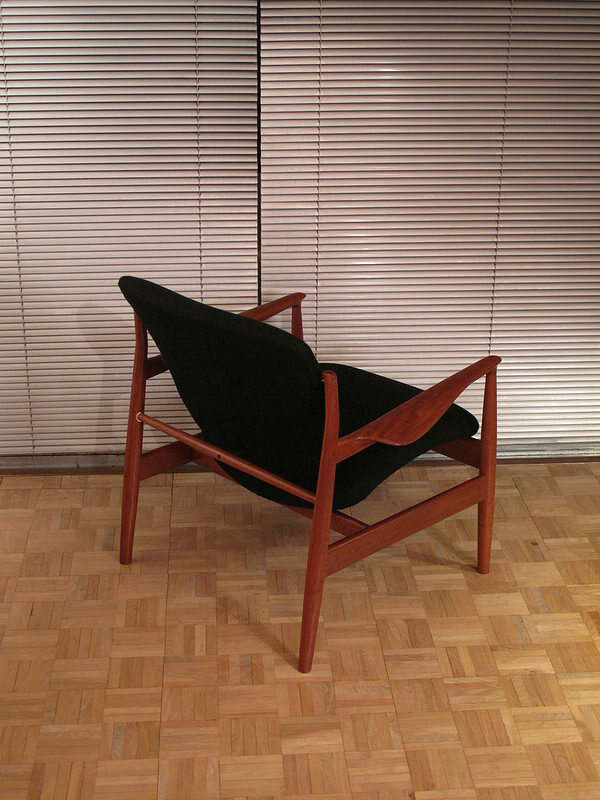 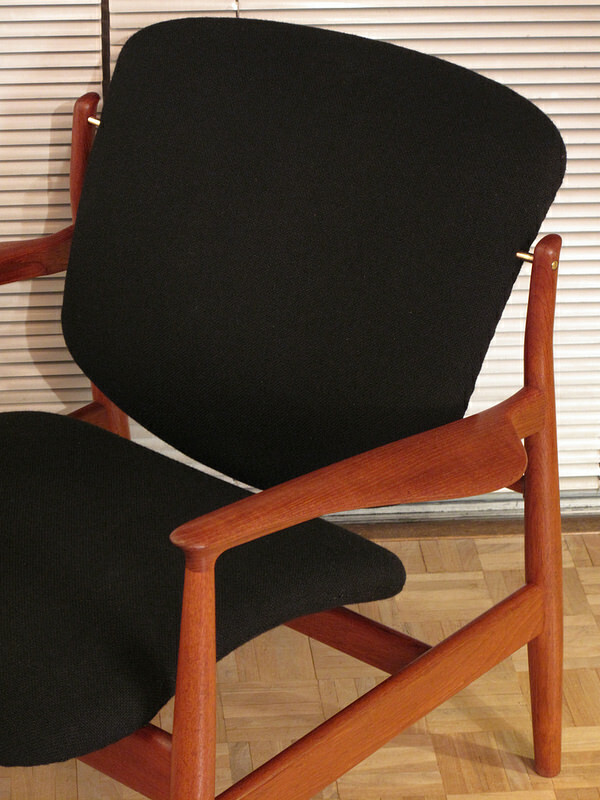 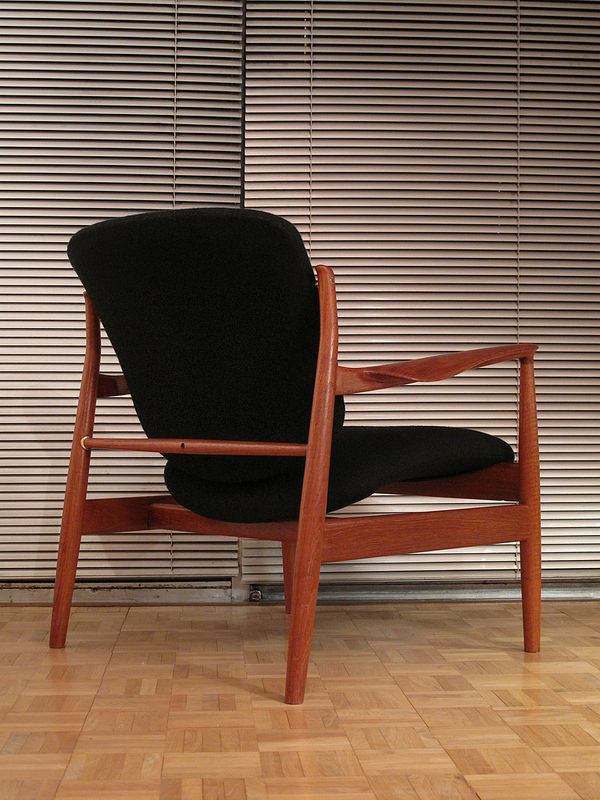 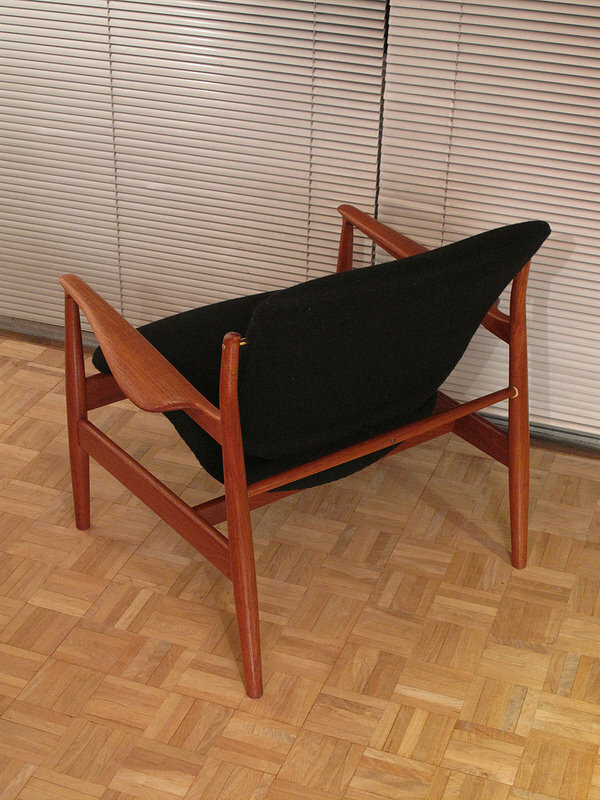 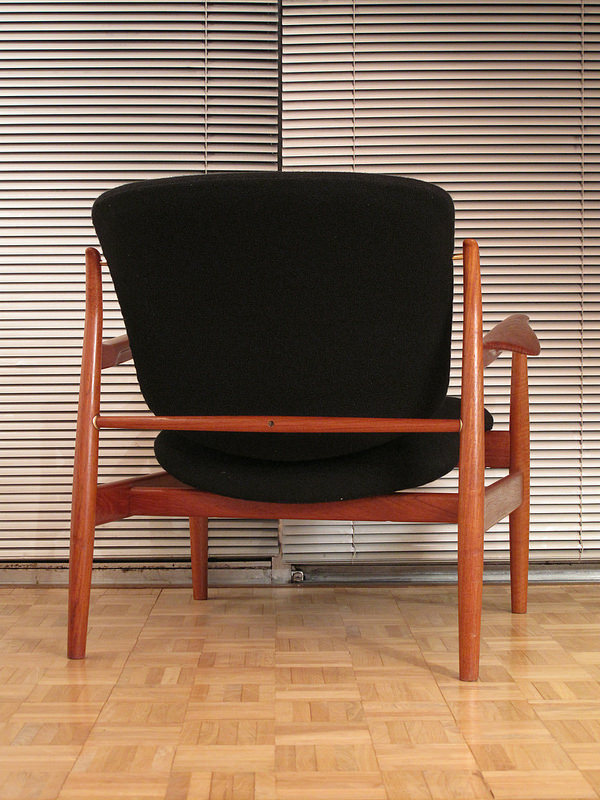 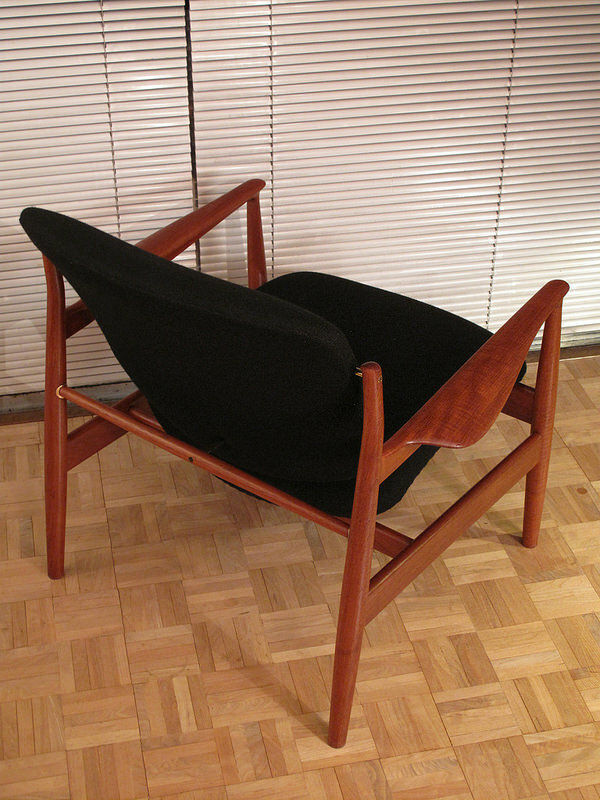 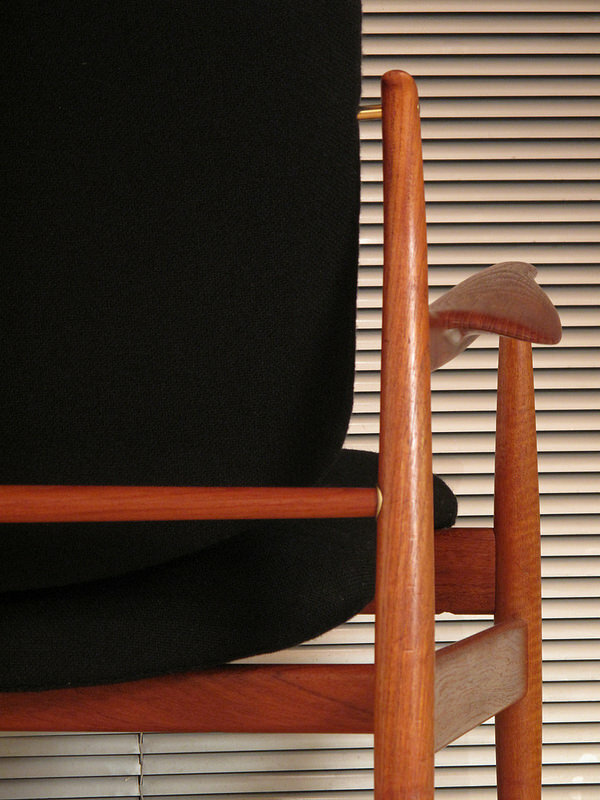 One of the most handsome Danish Modern lounge chairs by perhaps the most bold and experimental designer, Finn Juhl. 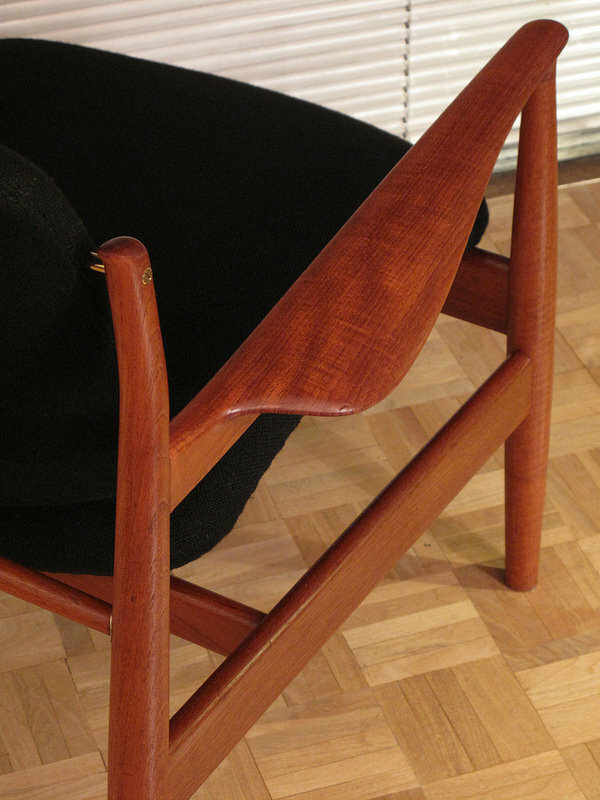 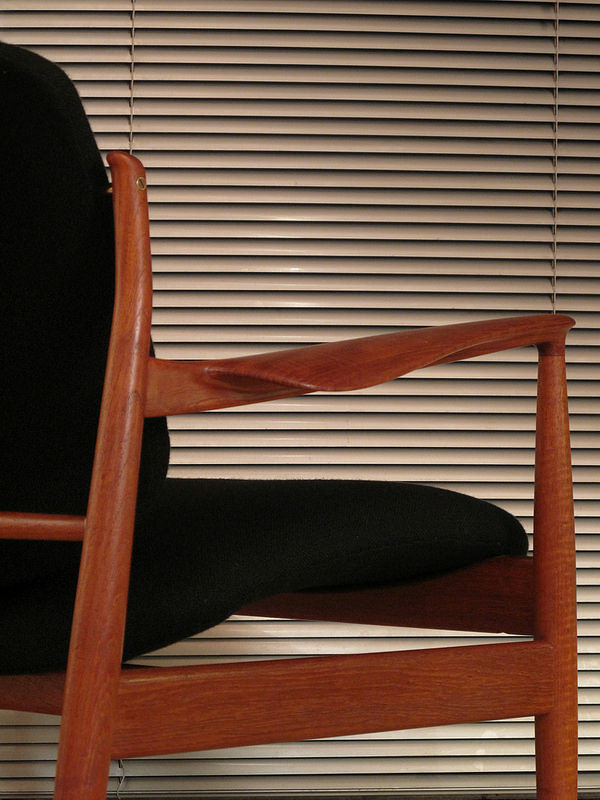 With clear reference to his earlier work with cabinet maker Niels Vodder this chair designed in 1956 was the most technical and sophisticated of his designs for France & Son. 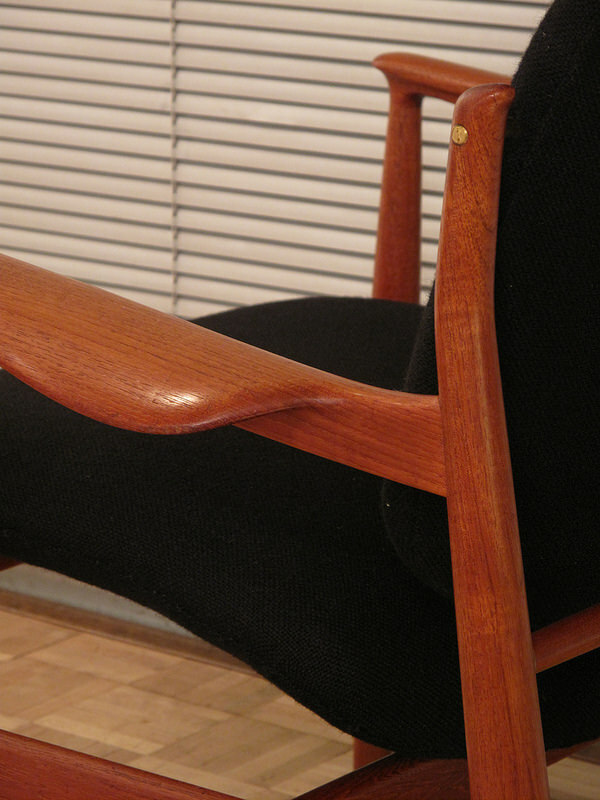 Featuring a highly sculpted solid teak frame with equally sculpted seat cushions that appear to float above the frame on brass supports. 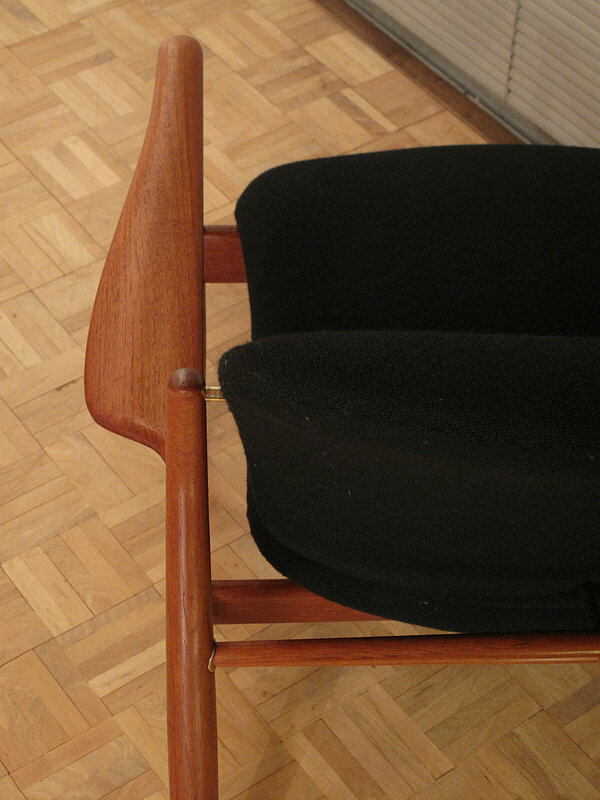 This particular chair is an early example from the mid to late 50’s. 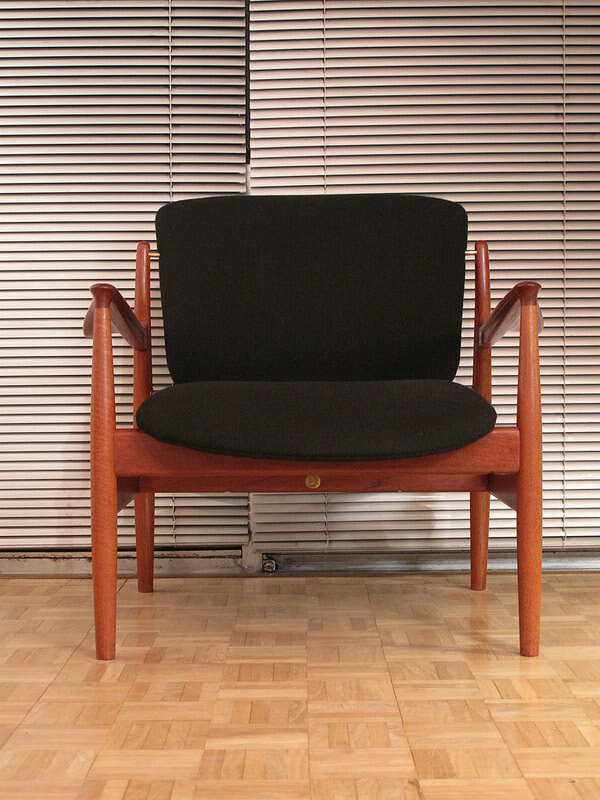 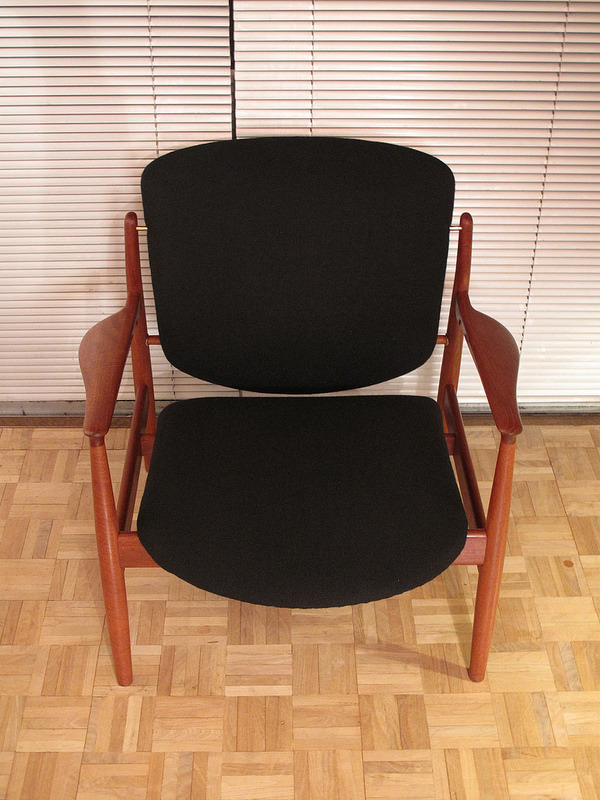 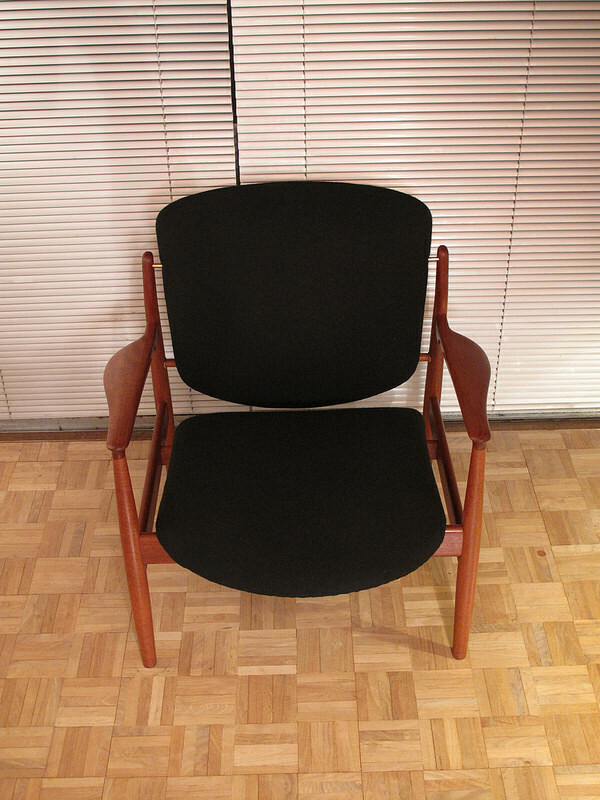 It has been upholstered in a high quality black Hallingdal style wool.